In 1977, New Jersey legalized gambling within the confines of Atlantic City. In that time, numerous casinos have come, gone, or rebranded themselves on the Jersey Shore. 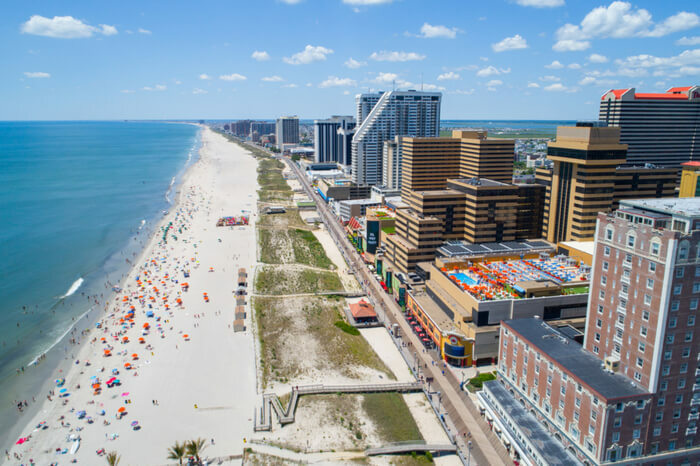 With so much flux in America’s Playground, it’s important to keep a running list of what options are available to Atlantic City residents and visitors. See below for the most up-to-date information about which casinos are open in Atlantic City. Bally’s Atlantic City began life in 1979 as Bally’s Park Place. It later expanded to include the Claridge and Hi-Ho casinos. Bally’s is one of three casinos in Atlantic City owned by Caesars Entertainment. It is located on the southeast corner of Michigan and Pacific avenues and backs up to the Boardwalk. Borgata Hotel Casino & Spa opened in 2003. Its proposition was unusual for Atlantic City in that it sought to create a Las Vegas-type feeling inside the casino, rather than jamming the floor with slot machines. Borgata featured 200 table games and a 34-table poker room. Its timing could not have been better for the latter, as Chris Moneymaker’s WSOP Main Event win generated unprecedented interest in poker. Borgata expanded its poker room to 85 tables (at the time) and became the dominant poker venue on the East Coast. The success carried over to the rest of the property. It emerged as the New Jersey revenue leader in 2005 and has never relinquished that title. As of January 2019, the entire property’s year-to-date revenue far exceeds that of any other Atlantic City casino. MGM Resorts International owns Borgata. The casino is located at the northwest corner of Huron Avenue and Brigantine Boulevard. It is one of three AC casinos in the Atlantic City Marina District. Caesars Atlantic City opened in 1979 as the Boardwalk Regency. At the time, it was only the second legal casino in Atlantic City. 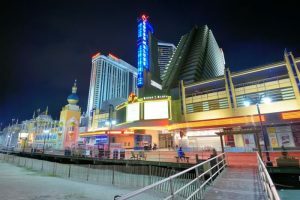 Since then, its name has changed twice, going from the Boardwalk Regency to the Caesars Boardwalk Regency before settling on its current appellation. The casino is located at the southwest corner of Pacific and Arkansas avenues. It is also on the Boardwalk and adjoins its sister property, Bally’s. 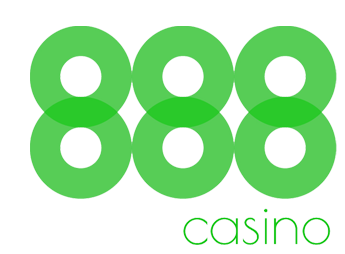 NJ gambling sites connected to Caesars are nested under the Bally’s online gambling license. However, one site carries Caesars’ name: Caesars Casino & Sports (online sportsbook and casino). The Golden Nugget name in Atlantic City is somewhat unusual in the sense that it has applied to different casinos over time. The first incarnation was on the Boardwalk and ended its life at Atlantic Club Casino Hotel when it closed in 2013. The current version, properly known as Golden Nugget Atlantic City, is in the Marina District. It grew out of the former Trump Marina. Landry’s, the parent company of Golden Nugget, applied the name to the former Trump property after its purchase in 2011. Landry’s also spent $150 million to renovate the facility into its present condition. Golden Nugget Atlantic City is located at the eastern end of Huron Avenue in the Atlantic City Marina District. While Borgata is the leader of land-based gambling revenue, Golden Nugget and its partners rule NJ online gambling. Monthly revenue for Golden Nugget is often double that of its closest competitor. Hard Rock Atlantic City is a brand-new property. It opened its doors on June 28, 2018. The casino hotel occupies the former Trump Taj Mahal. The Seminole Tribe of Florida bought the defunct property in 2017. After its purchase, Hard Rock spent $500 million renovating the entire property. The new ownership erased any vestiges of its India-themed predecessor. Hard Rock is located on Pacific Avenue and straddles Virginia Avenue. The property backs up to the Boardwalk. Harrah’s Atlantic City was the first AC casino built away from the Boardwalk. The fact that the property has endured for all these years is a testament to Harrah’s management. Harrah’s is home to five different hotel towers — Atrium, Bayview, Harbor, Marina, and Waterfront. The most recent, Waterfront, was completed in 2008. However, Harrah’s renovated the Bayview Tower in 2017. Harrah’s Atlantic City is located northwest of Brigantine Boulevard just before it crosses the Absecon Inlet. It is in the Atlantic City Marina District. Like its sister casinos (Caesars and Bally’s), Harrah’s shares its online gambling license. But it does have an online casino with its name on it. Ocean Resort Casino opened its doors on June 28, 2018. The new casino is a renovated version of the defunct Revel, which closed after two years of operation. Unlike its predecessor, Ocean Resort emphasizes the customer experience for mid-level bettors and visitors. The resort boasts a TopGolf Swing Suite facility, a Wahlburgers, six pools, and a state-of-the-art NJ sports betting facility. However, in January 2019, just seven months after opening, the casino changed hands again. Former owner Bruce Deifik is in the process of leaving his position and Luxor Capital Group will assume ownership once applicable licensing is approved by the DGE. Ocean Resort is located at the southwest corner of Oriental and Metropolitan avenues. It is on the Boardwalk, and management has removed the wall that used to separate the property from the famous walkway. Resorts Atlantic City is a property with an unmistakable claim to fame. It was the very first casino built in Atlantic City. On May 26, 1978, Resorts opened its doors and became the first legal casino in the United States outside of Nevada. It was the only casino outside Nevada until Bally’s opened the following year. Still, Resorts has kept chugging along while other properties have fallen by the wayside. It added a new hotel tower in 2004 and nearly doubled its number of available rooms. In 2011, the hotel and casino underwent a major renovation and adopted a Roaring Twenties theme. The buildings, personnel, and culinary offerings changed to recall the time period. Resorts Atlantic City is one of the smaller casino properties on the Boardwalk. It is located between North Carolina and Pennsylvania avenues, next door to the new Hard Rock Hotel & Casino. 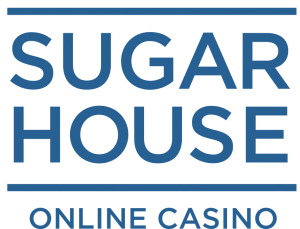 For online gambling, Resorts has picked a full slate of partnerships with recognizable names. As such, its online market share has improved considerably over the years. The Tropicana Casino & Resort Atlantic City is one of the older properties in America’s Playground. It opened its doors in 1981 as the Tropicana Atlantic City. Since then, the property has undergone several facelifts and name changes. In 1988, it opened an entertainment area called Tivoli Pier and changed its name to Tropworld Casino and Entertainment Resort. Eight years later, Tivoli Pier closed, and management renovated the entire property and changed the name to its current label. In 2004, the property renovated further, creating a Cuban-themed shopping mall called The Quarter at Tropicana. It also owns the Chelsea Hotel next door. The Trop was recently sold along with a few other properties to ElDorado Resorts and Gaming and Leisure Properties. Tropicana Casino & Resort Atlantic City is located at the southeast corner of Pacific and South Brighton avenues. The Showboat opened its doors as the Showboat Casino, Hotel, and Bowling Center in March 1987. In 1995, the property renovated to use a Mardi Gras theme. In 1998, Showboat became part of the Caesars Entertainment portfolio. The property built two additional towers in 2003 and 2004, but alas, the property shut its doors in 2014. After changing hands twice, Philadelphia developer Bart Blatstein reopened the Showboat in July 2016. However, the new version of the property had no casino. The future for the non-gaming hotel actually looks bright. The hotel recently opened a slew of new and renovated attractions. Showboat will benefit from its unique location. The hotel is sandwiched between the two newest Atlantic City casinos — Ocean Resort Casino and Hard Rock Atlantic City. Showboat may find lasting success as an overflow location or backup options for these properties. The property is located at the southwest corner of Pacific and Delaware avenues. The Atlantic Club Casino Hotel closed its doors on Jan. 13, 2014. The shutdown concluded 34 years of operation for the property at the corner of Providence and Pacific avenues. The Atlantic Club, which opened in 1980, was the city’s first Golden Nugget. Owner Steve Wynn ultimately sold the property seven years later to Bally Manufacturing, which renamed it to Bally’s Grand Hotel and Casino. Financial woes led to multiple changes of ownership and multiple names. At various times, the property operated as the Atlantic City Hilton, the ACH, and finally, the Atlantic Club Casino Hotel. Its current owner is TJM Properties. Despite plans to reopen the hotel, first as a nongaming facility, then as a waterpark, the property remains empty and dormant. Trump Plaza opened its doors in 1984 as a joint venture between Harrah’s and Donald Trump before he was elected president. The property originally had 614 rooms and a 60,000-square-foot casino. Trump then opened Trump Castle, and his business partner claimed a conflict of interest. So, Trump bought Harrah’s interest in the property and changed the name to its final incarnation. After 30 years of operation and a bankruptcy, Trump Plaza closed its doors in 2014. The property sits dark to this day.